Located just 700 metres from Bangkok's famous Khao San Road, Urbed Hostel offers comfortable air-conditioned rooms and free WiFi. 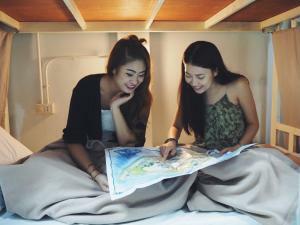 At Urbed Hostel guests can arrange tours and plan sightseeing trips to Bangkok's must-see destinations with the helpful staff at the 24-hour front desk. 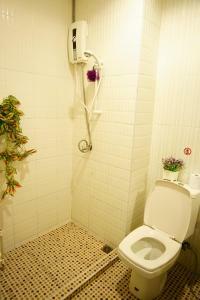 The hostel also offers free uses of the safety deposit box and provides free luggage storage services. The hostel is 400 metres from Banglamphu, 500 metres from Wat Bowonniwet Vihara and 1.6 km from Temple of the Emerald Buddha or Wat Phra Kaew. A 10-minute ride brings guests to Grand Palace. Suvarnabhumi Airport is 32.3 km away. Please note that the property cannot accommodate guests under the age of 18. Guests are required to show a photo identification and credit card upon check-in. Please note that all Special Requests are subject to availability and additional charges may apply. Please inform Counting star Hostel in advance of your expected arrival time. You can use the Special Requests box when booking, or contact the property directly with the contact details provided in your confirmation. Rate: THB 230.00 ... THB 320.00; select dates below to get current rates.